Brian Reagin, violinist and Concertmaster of the North Carolina Symphony, returns as a favorite to the Friends Concert Series. 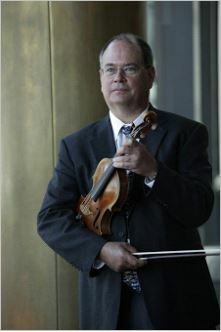 Brian Reagin, who captivates audiences with his brilliant performances, will treat concert-goers to a classical repertoire on his Lorenzo and Tomasso Carcassi violin made in Florence, Italy in 1763. Don’t miss this one, it sells out every year!